Let our Sixt car hire deals in Iceland help you plan your leisure or business trip to this Northern country with its spectacular scenery. We offer a wide choice of premium vehicles at affordable rates along with an excellent record for customer service. Whatever your budget, from the economical to the luxurious, our premium fleet has the perfect rental car for you in Iceland. Carry on reading for some useful driving and travel tips to help you enjoy your Icelandic adventure. Collect your car rental in Iceland from our two locations in Reykjavik, one at Keflavik International Airport and one in the city. 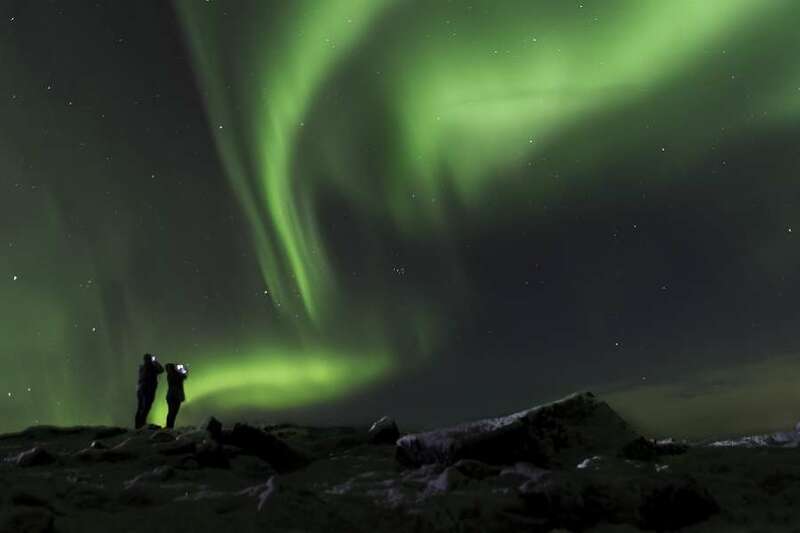 Booking systems for our car hire deals in Iceland are straightforward and if your plans should change, cancellations are often free of charge. Browse the map above to see sights and towns worth visiting with your rental car. Your Sixt car hire in Iceland is provided by well-known brands to ensure you have a high quality ride. Use our bookings page to organise one-way rentals, choose a car with automatic transmission or select from our range of optional extras that include child seats. Which car rental in Iceland is right for me? Tour Reykjavik in compact models. Spacious estate cars and 4x4s can hold up to five people plus their luggage. Make the most of the countryside in luxurious sports cars and convertibles. Spacious minibuses can hold up to 15. Iceland accepts both EU and international driving licences. If your licence is in a non-Roman alphabet like Arabic, Russian, Cyrillic or Chinese it must be accompanied by an International Driver's Permit (IDP), obtained in the UK either online or from Post Offices. The minimum age to rent a car in Iceland from Sixt varies from 21 to 25 depending on the vehicle category. A full licence must have been held for at least one year and surcharges apply up to the age of 25. Full details are in the booking engine. Pay for your car hire in Iceland by credit card. All major credit cards except Diners Club are accepted but prepaid or debit cards such as VISA Electron cannot be used. Credit cards must be in the driver's name and be presented along with photo ID when the vehicle is collected. Should you have an accident or any problems with your car hire in Iceland contact us on our hotline number +354-540-2222. Iceland emergency services use the European number 112. 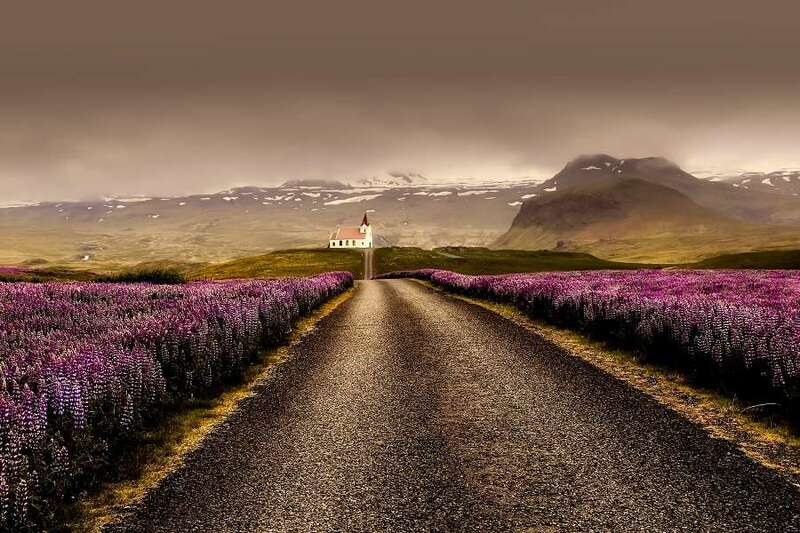 Iceland has only one main highway, the Route 1 - Ring Road which encircles the country. If you plan on venturing away from the capital and coastline into the country's interior choose a 4x4 when you rent a car in Iceland. As these are in high demand we recommend you book well in advance. The nature of Iceland's climate and terrain means that roads may close at short notice and mountain roads are rarely passable before June. Any road with a prefix F will require snow tyres and chains. Note that driving is on the right in Iceland and kilometres are used for distances and speed limits. Headlights have to be used both day and night. The only toll road in Iceland is the Hvalfjardargong Tunnel. Tolls can be paid by cash or card. Use the webpage of the Iceland Meteorological Office to check weather and road conditions before you set out. Children under 1.5m in height require appropriate child restraints. Parking is easily available in Iceland and often free of charge even in Reykjavik. Just check for pay and display metres. Any damage to your rental vehicle caused by driving off-road or on ice is your responsibility and you will be charged for repairs. Driving on the following roads is not recommended: 578, 622, F210, F323, F337, F578, F910 and F980. Icelandic police can impose and collect on-the-spot fines. Hidden speed cameras are common while for a first drink driving offence the fine is 100,000 ISK plus confiscation of the vehicle. The police carry credit card machines for payments of fines. The Heritage Museum at Glaumbaer Farm transports you back to Icelandic rural life of the 18th and 19th-centuries. Original wooden farmhouses contain exhibitions and a tea room serving traditional Icelandic food. The award-winning Ion Hotel is a luxurious venue within easy reach of Reykjavik. The contemporary design straddles the rocky landscape on slender stilts. Also modern in concept with its distinctive coloured glass facade inspired by Iceland's basalt landscape is the Harpa Concert Hall and Conference Centre. Built of local larch wood and turf, the Snaefellsstofa Visitor Centre blends into its setting in the Vatnajokull National Park. It is designed to resemble a glacier forcing its way through the landscape. The Blue Lagoon with its geothermal spa is one of Iceland's most famous sights. With a constant temperature of 40 °C, these mineral-laden waters can be enjoyed all year round. 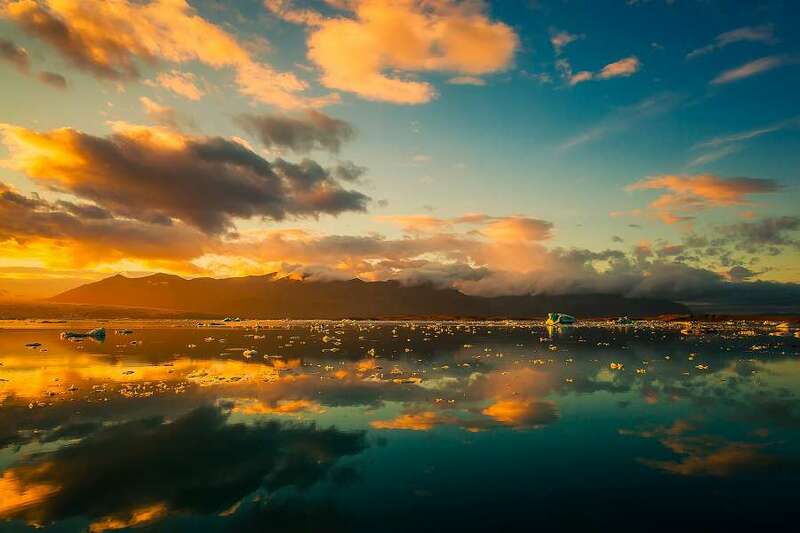 The Jokulsarlon is the largest glacial lake in Iceland. Filled with icebergs it is a Winter haven for seals. A tour of the Vatnajokull Caves starts from the lake. With their blue ice roofs and snow covered ground, the caves are a mesmerising sight. Also spectacular is the Gulfoss Waterfall which plunges 32 metres into a rugged canyon. You may take your rental vehicle on ferries from the mainland to the islands but not on a ferry from Seyoisfjordur. Doing so will invalidate your insurance.